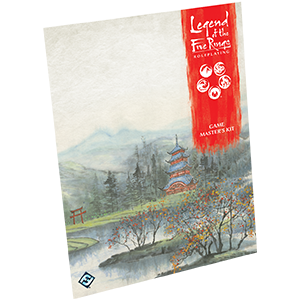 This is the stage of the Legend of the Five Rings Roleplaying Core Rulebook, a new roleplaying experience in the world of Rokugan. 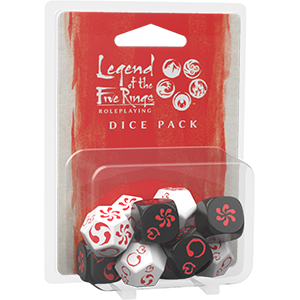 The GM Kit includes both a beautiful screen that keeps the rules at your fingertips as well as a pre-made adventure in the mysterious Slow Tide Harbor. 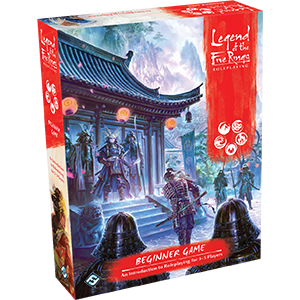 Guide your players into the world of Rokugan with style and ease with the Legend of the Five Rings Roleplaying Game Master’s Kit! 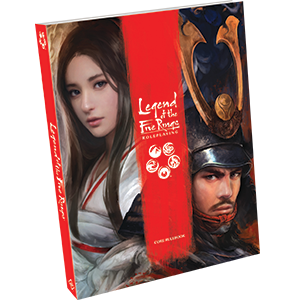 As always, we have a pre-order up for this awesome second edition of Legend of the Five Rings! We expect organized play to begin pretty much immediately upon release, and we hope to see you there! Please note that by default all online orders are local pickup only. If you are inside the continental united states, we are happy to ship to you – please choose the ADD USA SHIPPING option from the dropdown to ship any number of items for one flat fee.